"You must" Malaki's mother insisted as she grabbed her sons leg as he was leaving. "Our people are dying, when was the last time you have seen a hatchling? We are not related by blood. For the future of our people you must." Malaki would not hear of it and growled to kick her fore claw free. "It is only logical my child, there is no shame in it, just survival. If you love your people you know it must be done. Children are the future". Malaki could not argue with his adoptive mother. Her logic and reason was undeniable. But it was to much for him to think about now with the all the other problems he was dealing with. But the seed was planted in his mind. It was a thought that would haunt his mind later. The young night wing did as he always did when time allowed, ventured into the onyx citadel in search of knowledge to sears. Tonight was no different. No different except the books about seers on the table was now cluttered with recorded Night wing family trees. He liked to think that his tribe was very good at recording everything from birth, deeds, till death. But there was nothing about him in tribal recorded history accept that he was an orphan and adopted. In that the records were up to date. With that in mind his mother, no, adoptive mothers words hung heavy in his mind. A necessary evil for a greater good. Even he could see the logic in it. Taking a claw and moving the scrolls about the family tree on the table out the way he picked up one related to "Mahari the mad" A night wing seer so gifted he was driven to madness. Malaki could not help but think if that was his future when he started to read the scroll by candle light. The flames reflecting off the surface of the goggles he wore over his light sensitive eyes. He even started to wonder if he should have said anything back in school about his visions as a hatchling. Whispers, moving shadows, such were the symptoms of when the poison potion he took was starting to wear off. Symptoms of the visions to come. Taking a vial out one of the chest harness pouches Malaki wore he swallowed the bitter fluid and grimaced as his blood started to burn like fire in his veins. It was a pain he was getting used to. Such was the price of peace. Peace from the visions that showed the lives, and futures of others he did not even know. From dragons to humans, even monsters. All strands in a web he did not, or want to understand. Tenebris made his way through the crepuscular obsidian halls of the Citadel, while usually on such times outside of his duties he had as of late allowed himself to fall into melancholy within his private quarters to contemplate and brood he knew that being alone with his own thoughts would merely just torment him further in an ever forlorn ineptitude to hold him from his duties. Instead the Archon had decided to pay a visit of somesorts, it had come to his attention of a young Nightwing spending a vast majority of time within the Library study of the Citadel, once a place Tenebris would marvel in often even more so than his private study if only to once share in the company of his protegé Loque before his disappearance and then later the Master Apothecary Skalax before his death who would often deliberate within the Library Spire if only to pull ancient scrolls and other such documents from their resting places to use as source material in presenting ideas and lore to Tenebris. To some degree Tenebris still wondered how many other Dragons had decided to take advantage of the knowledge stored there now that it was open to all refugees who resided within the Citadel despite Tenebris’s cynical nature telling him it would be very few..
Tenebris had heard of the interesting young Dragon’s exploits within the Library through mere rumour, apparently a frequent visitor what caused Tenebris to muse if the young Dragon was searching for something in particular or merely basking in all the knowledge presented there. In the past Tenebris would have his spies and Inquisitors find out all information about this frequent visitor if only to satisfy the Archon’s own interest but now such institutions were in ruin, Tenebris would arrive with no pre-knowledge on the Dragon what awaited him up the spiral staircase. Tenebris had made it a point that there was to be no aerie platforms for which another Dragon could land immediately at the apex of the Spire as to disturb anyone who would be indulging in the knowledge of the past, and the glossed obsidian walls were only build with enough space to allow only Nightwings and those of a smaller size to comfortably make their way up the stairs. In hindsight Tenebris now regretted the practicality of the stairwell, ever since his injuries during the fall of the Imperium’s Capital he occasionally was forced to limp from his right foreclaw, causing the effort ever upwards to be one of considerable disdain for the Archon which also served as a constant reminded he was no longer the vigorous regal Dragon he once was, he now bore a mutilated scar across the right side of his visage which trails from the rear of his right eye down across his maw, upon his coal like scales on his side were several more disfiguring scars what made the once elegant Archon seem as though he had been mauled. Inhaling as he entered the Library chamber as he reached the zenith of the stairs, he mustered his usual calm solemn dignified posture, resting his right foreclaw on the smooth surface of the onyx floor but in a manner where he allowed his weight to be shifted in between his other three limbs. The eerie sapphire shrewd glare of Tenebris examined the library, his eyes narrowing in silent scrutiny as though a predator on the hunt, before his gaze finally found the Young Dragon, brazenly gulping down some variety of alchemedic liquid substance. Tenebris noticed the goggles of the young Dragon, it was a common defect more and more of the Nightwing Tribe shared, being a predominantly nocturnal Tribe their sight allowed them the advantage within the darkness of the night but it often hindered them when they reacted to the brightness of the day. Lowering his head in a humble manner in a bow of acknowledgement and mutual respect Tenebris spoke feigning ignorance as if he didn’t see that the other Dragon had drank any substance “Why hello there young friend, I’ve heard you frequent this library often. Tell me, do you enjoy my collection?”, Tenebris would then attempt a smile towards Malaki however due to the mutilated disfiguring scars upon his visage his smirk would contort and twist into more of a sadistic wolfish sneer on the right hand side. The words caught Malaki completely off guard and he turned to look at its source only to find the Archon himself. Wasting no time the young night wing was quick to lower his head in submission. He barely had the time to even notice the tribe leaders disfigurement. Being adopted into the lowest social class in night wing society he grew up being use to lowering his head in respect to pretty much everyone in the tribe as there lives were deemed worth more then his. But the Archon was not just anyone. Malaki was at a bit of a loss at the proper way to address him. He grew up with the notion he would be lucky to even have a dragon of such high rank even look at him much less talk to him. He was a nobody. But on that thought Malaki preferred it that way. He had been warned of the tribe leader with stories that are less then flattering. "Forgive me lord Archon. I did not know you were here. I will leave immediately after I clean up for you." With that Malaki simply rolled up the scrolls on the table and started to put them back on the shelves exactly as he found them. The entire time Malaki kept his head hanging low with eyes facing the floor as he was taught as a hatchling in school when in the presence of everyone in the tribe higher in social status them him. Wordlessly he started to leave. Tenebris mused as the young Nightwing lowered his head in affirmation to his presence before raising his right eye ridge in an inquisitive manner as the young Dragon began to return his variety of scrolls and tomes. Such apprehension even amongst his fellow Nightwings Tenebris had come to expect, his foreboding nature even in times of at ease often brought forth a wariness in his kin, something Tenebris often benefited from when it suited a purpose, trepidation was a worthy quality for Nightwings especially in such a chaotic and unforgiven time. The Archon would scoff, not out of disdain or scorn but merely to get the young Dragons attention as he maneuvered himself even despite the pain in his foreclaw in an ethereal serpentine like manner to block the path of Malaki. He’d raise his right foreclaw, his ink stained talons spreading to show off his palm as a gesture for the young Dragon to halt. “Please, it is rare that I often find others here within the tower, tis’ certainly a good change to isolation, wouldn’t you agree?”, Tenebris’s hoarse august tone was spoken in a matter of factly fashion. “There is no need for your apology, truth be told tis’ you who must forgive me for my disturbance, I did not intend to cause a hindrance to disturb your erudition. These works are for all brothers and sisters of our fold to satiate themselves with. After all it was the reason to why I allowed the admission of this archive to all who desired the knowledge of these tomes. We find ourselves in an era where knowledge and the lessons of our forefathers could of been lost during the fall of the capital, and what remains should not be hoarded but shared so that newer generations such as yourself have the means and insight to progress so that our culture does not stagnate and devolve”. Moving his claws to the silver ring adorning one of his horns he allowed a twisted wry smile to spread across his features as his gaze shifted to the scrolls previously the young Dragon was reading attentively, “You must forgive me once more however, it is not often I am so freely able to deliberate in confidence, speaking of which, please Tenebris alone will do, there is no need for formalities there is no ceremony here, you must acquaint me though young one, who do I owe the pleasure?”, Tenebris now remained with his attention fixated upon Malaki, it would also be noticeable that the Archon made no attempt to move his posture to allow Malaki exit from the library still blocking the young Dragons way. Malaki had taken the Archons words before as a subtle and polite way of telling him to leave. He soon found out otherwise as the tribe leader moved with grave achieve from many long years of practice to block his path. Malaki could almost hear the words in his that would be spoken next. "Did I say you could leave?" But those words did not come. What was said Malaki could never have anticipated. Malaki kept his head low until the tribe leaders ink stained talons appeared in in his field of vision. Claws that were open, almost inviting. As the Archon spoke he dared to lift his head up and actually look upon him. Indeed the archon in the flesh was a weathered dragon covered in scars unlike the paintings, murals, and tapestry's Malaki has seen. He could not help but agree with the Archon on isolation. "So few of us, far to few". Was all Malaki said in reply with his thoughts drifting elsewhere. But still he listened. When it was all said and done he looked to the claw blocking his path. It was clear leaving was not a option. "Malaki my lord Arc", pausing to catch himself Malaki corrected "My name is Malaki, Tenebris". Turning back around to go back to shelf he walked down the line gently touching the scrolls with his talons. "I had come here in hope of finding answers to our tribes future. But sadly there are no answers to be found." As he got close to a candle Malaki stopped. "It seems the seers of our tribe were blind", with that the young night wing blew out the flame. "So here we are left wandering blind in the darkness". Taking a scroll out he mumbled something and put it back. "My adoptive mother wishes to..... copulate with me to put it bluntly. There is no polite or nice way to say it. She fears for our tribe and its future with so few of us left. She fears we will be bred out by the other tribes. Each generation the blood getting weaker and thinner until we are nothing but a memory, or words on a scroll gathering dust." "I naturally feel trepidation to the suggestion. But the logic is sound. Were this library lacks any answers to this question I am hoping perhaps you do." “It is certainly an honour then, young Malaki”, Tenebris followed the movement of the young Nightwing as he trailed one more to the shelves, Tenebris’s sapphire almost spectral glare remained fixated upon him without fail nor falter before the Archon stalked his way to one of the Obsidian crafted stone tables what dotted the aisleways in between the vast horde of scrolls and scripture upon the shelves, lowering himself to a seated position he’d intently listen to Malaki, allowing the Nightwing to speak his mind unprompted. Tenebris couldn’t help but actually enjoy the change Malaki, from the submission of being in Tenebris’s initial presence he found the new confidence and tenacity of the young Nightwing both intriguing and inspirational now that the formalities of status was removed from the two conversing, it was clear that they thoughts had troubled and plagued the mind of Malaki for sometime from Tenebris’s assumption and he delighted in seeing no wavering in the Nightwing’s conviction in wasting no time returning to the previous scrolls he was scrutinizing under analysis. Tenebris continued to muse, he himself once dabbled in the works of the seers of the past, hoping to find how one could use such divination to a higher purpose, looking into the prophecies of old in the hope to have some realisation of the future. Truth be told few such accounts had been truly documented well and the ones what were, were vague and open for interpretation and those what had been deciphered had come to pass many moons ago. Such studies at one point had even lead Tenebris to use ancient almost barbaric methods from folklore before the times of the Tribe’s unity, the use of divination through rituals using the entrails of prey and Dragons alike, but all was futile, the only truth Tenebris knew came from the inborn ability to foresee the future a gift once apparently common amongst Nightwings along with mind reading yet as Tenebris’s research waned so did his belief that such traits were still found within modern Nightwing society. Remaining silent for a moment as Malaki finished Tenebris awaited to allow Malaki to collect himself, from Tenebris’s view it seemed Malaki had taken courage to state these comments openly. “Your adoptive mother is correct”. Awaiting to see if Malaki would react and turn to face him he’d then continue “To some degree of course, as you stated yourself her rationality and logic cannot be faltered, it is true that we stand at a precipice in our society and we are but shadows of our former glory. However, it is short sighted of her, there is more to purity that simply blood, our educational systems are in ruins, and discord and anarchy grips our society. To bring hatchlings into such at this time would stretch our current resources and they would be expected to be taught directly under their parents which would make our current availability be even lessened. No, while I will not implement a breeding ban to our fold I cannot condone a sudden hatching expansion to our population, we simply do not have the disposition to codify and order the necessary preparations needed. First and foremost we as a tribe must restore order and reestablish dignity once more otherwise any new hatchlings raised in this environment would become little more than Rogues, deprived of civilisation”. Takes a comment inhaling and exhaling to collect himself before he continued “What it means to be a Nightwing will and always has been more important than merely blood. Before the unification of our Tribe under the illustrious Queen Night there would be been no pure blood other than her own. 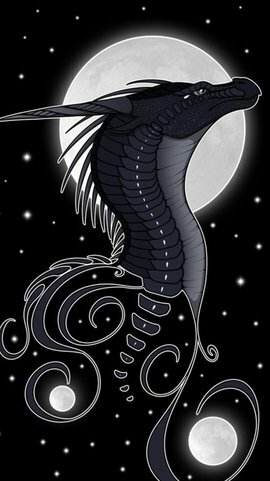 That being said, it is our culture, our land, our philosophies what define us as true Nightwings, it is crossing the threshold of reality to dedicate yourself a our higher purpose as heralds of all Dragonking what exemplify we Nightwings as harbingers to guide our world. In the past efforts to keep the bloodlines itself pure have resulted in disaster, our tribe has had an entire dynasty which attempted to mate with one another to keep their lines the purest and their abilities strong, yet in the end the last of their line was malformed and twisted before they were usurped”. “Your adoptive mother is correct”. Just hearing those words put a bad taste in Malaki's mouth. "I see..." Malaki said with a disappointed sigh. The words and sigh almost seeming to blend into one action. "I suppose I could create something to help me in the task. Perhaps a aphrodisiac." Tapping a talon on the floor he pondered for but a second before adding. "Goat weed or Barrenwort perhaps. There are of course fertility problems to take into effect and the long term stress from what's going on that would increase the chances of her becoming egg-bound". At this point Malaki was not even talking to the leader anymore but instead just speaking his thoughts out loud. A habit that irritated some in the past. But also revealed hints to his knowledge and past. "Hmm," Malaki continued in thought. His wandering mind came back to the present though after the Archon continued to speak. Malaki let out a sigh of relief this time at hearing the tribe leaders wisdom on the matter. "I cant agree more. Now I can tell her what you said and she can finally stop pulling my tail on the matter." Malaki had considered the matter at a close but it seemed the Archon was only just taking a break from his speech and resumed. The young night wing had to admit the Archon had a talent and flare with words. Words that could rouse the spirit and steel the heart. Thinking about the glory of there tribe made the current situation all the more painful. "They kept mixing pots with the same mixture". Malaki said after listening to the tribe leader. "That is a troubling thought." There was not really much else to be said. It was as it is. "So we are to be the light in the darkness? To guide the world? How exactly?" Malaki spoke with a monotone voice devoid of emotion. Even his face did not betray any emotion. The eyes would have indicated curiosity. But they were covered by the dark tinted goggles that a hid his glowing malachite green eyes. Tenebris mused at the altruistic benignant statements of the young Dragon as he thought allowed speaking to himself, such thoughtfulness in his endeavours was a pleasing thought to know should he be willing the young Dragon would do his duty to the Tribe and breed with his adoptive mother should it have been the Tribe’s mandate, what interested Tenebris more was the extensive knowledge Malaki had in alchemy and herbology were the Grand Alchemist still alive Tenebris would of introduced the young Dragon to him to be taken under his tutelage as an apprentice under the patronage of the Archon himself, Tenebris himself knew a certain degree of Alchemy but not to the extent to call himself anything more than a novice in such a field. However, as Tenebris continued his fixated stare remained upon Malaki as he the young Dragon followed the rest of the conversation with interest and attentiveness. The Archon couldn’t contain his smirk as a wolfish grin spread across his features at the question presented to him. The philosophy of Tenebris was often taken as vague and open for interpretation thus when those come to him for clarification Tenebris knew he could guide them directly and indulge such. “Tis’ through our principle of modern Dragon society which holds that all sentient beings of our world should strive to ensure the greatest good for the greatest number of beings in Pyyria, with Dragon’s as the ruling caste of a new era, we would allow for the advancement of the entire Dragonic society towards a more successful, prosperous and peaceful existence in the future without much of the violent conflict that marks our earlier history. The Concept of the greater good involves the pursuit of perfect societal harmony and combines the particular strengths of not only each Tribe of Draconic kind but also each race to counter the many weaknesses and divisions our worlds culture possesses, such lesser races working in fields what mark their strengths to better us as a whole. In the end tis’ this dream of uniting all under a single righteous cause and purpose to reach a new enlightened society which must ensure Nightwings are the first to lead our kin. As Nightwing’s we have always been ones who are not held back by moral ambiguity, it is our drive and willingness to sacrifice that makes us worthy to guide the rest of Draconic Kind to reach this state through any means necessary. Many leaders are short sighted and initially corrupt throughout the other Tribe’s and even before the scourge of these Monsters allowed their societies to stagnate and regress, yet the Nightwings have ever pushed forward. To this end, we will strive to be the harbingers of the greater good, be that through intrigue, conquest or cultural assimilation”. Tenebris while speaking clearly caught in his own thoughts of grandeur finally removed his gaze from the goggled young Nightwing and stared into the dark absoluteness of the obsidian ceiling seemingly romanticising such ideals in his head. Malaki listened to his tribe leaders speech and he honestly loved it. BUT, it was never so simple as building a world where everyone cooperated together and he could not help but say so from his personal experience seeing all the timelines and webs that connect making up the future. "A beautiful vision to be sure". Malaki said with a lower jaw hanging open to indicate happiness. "But you are planning on the assumption that others share this vision, this future". There is so much to take into account. Emotions, past experience, individual plans. So many variables that make up the spider web." At that he paused in memory of his visions. "But most importantly", Malaki said with his jaw closing and taking a more serious tone. "You have to take into account the one thing all living things have.....free will". You could gather all the leaders of the tribes together and each would have there own ideas of the future and how to go about it. It is unlikely that they would agree with your vision of the future just as much as they would agree with there's." Shaking his head now realizing he is talking to much about the future Malaki added. "Forgive me Archon, My tongue ran a bit free there. Took to much philosophy and political science classes as side courses back when I was at the healers academy." It was not the reason why he said it. But it would serve as an excuse as to why he shot his tribe leader down. Perhaps it would not. He grew up on stories on hearing how the tribe leader made any dragon who questioned them 'disappear'. Wanting to say something that would please his leader Malaki said. "But I do suppose the other tribes are tail dragging savages. They could not even protect there own tribes and we ended up saving them and giving them our territories." Pausing at that he added. "Yet I have yet to hear them thank us."